When thinking about staging your home, plan to showcase your home’s best assets, impress buyers and sell it quickly for the highest possible price. Home staging might seem like a daunting task if it’s your first time, but it’s a lot easier than it appears. Plus, because not all home sellers stage their homes, so you’ll be at an advantage if you do. 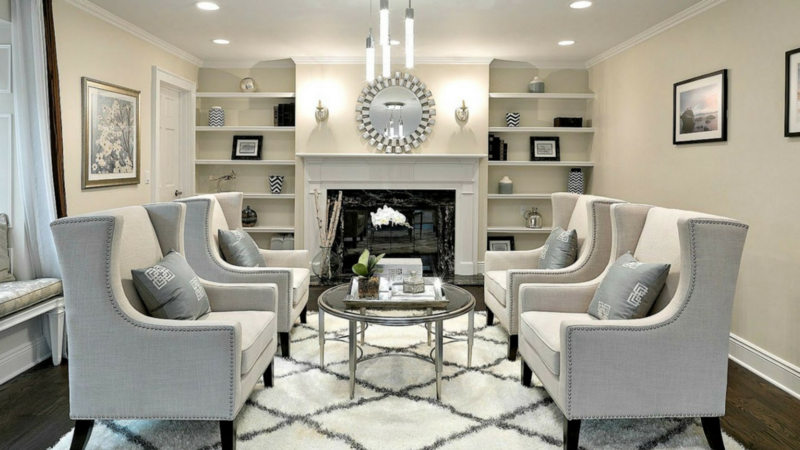 Take a look at our 11 home staging tips and tricks for your home. While there are plenty of room-specific staging tips, if you’re on a limited budget. It’s best to focus on big-picture improvements and on the areas, that will make the biggest difference in your home’s selling price. The following tips and tricks can and should be used in as many rooms of the house as you can afford and have time for. There are two major problems with clutter. One is that it distracts buyers from your home’s features. The other is that it makes it seem like the home doesn’t have enough storage space. It’s not easy, and it may even require utilising other storage (or a nice relative’s attic) temporarily, but it is well worth the trouble. Clean and clear surfaces, floors, cupboards, and closets equal more space in the eyes of potential buyers. Keep in mind that buyers will be interested in your storage space, so tossing everything into the closet to hide it away may not be the best strategy. In the kitchen, potential buyers love to see new appliances that come with the home, but if you can’t do that, make the ones you have spotless. No one wants to see splattered spaghetti sauce, films of grease or piles of crumbs in their potential new home. Your goal should be to get your house sparkling clean and make everything look new. Don’t skimp — this step is key! Paint colours are the same way. You may love your orange bathroom, but people’s tastes in colours are very specific and highly personal. 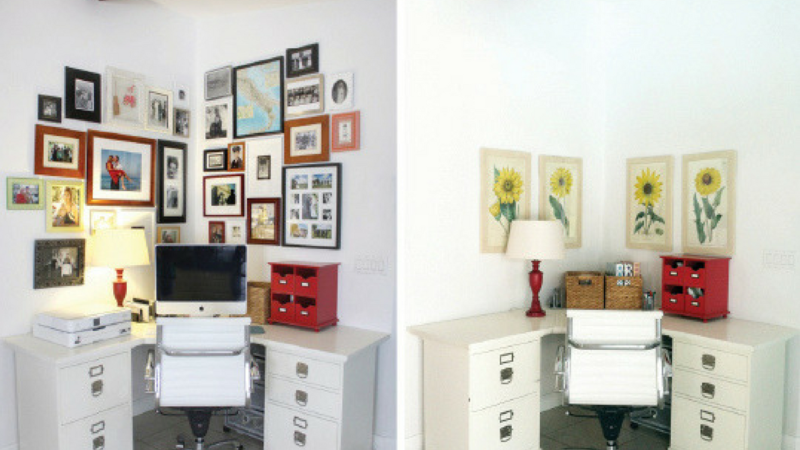 While you might think that white walls would be ideal because they create a blank slate. 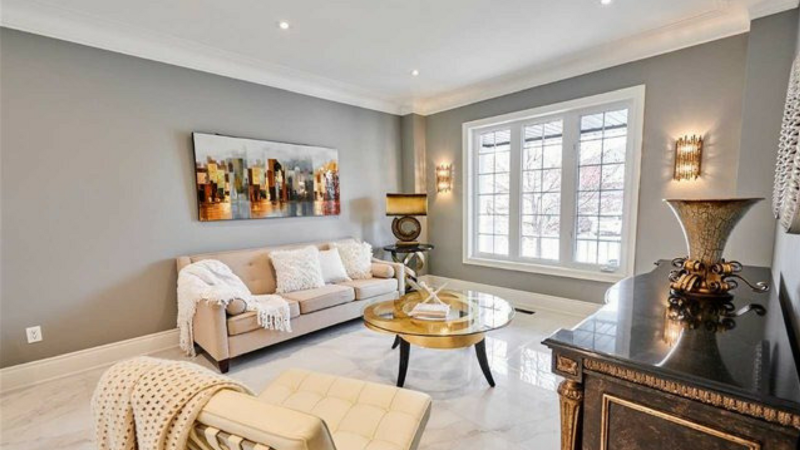 It’s better to paint your home with warm, neutral colours that project the homey image you’re trying to sell. Buyers need to be able to envision themselves in your home, so remove all the family photos, items with family members’ names on them, heirlooms and refrigerator art. Also, even though there may be families with children looking at your home, but just because they have kids too doesn’t mean seeing toys strewn everywhere will sell them on the place. When people are house hunting, they are imagining a fresh start. Show them that in this house, it is possible to have a beautifully organised kids’ room, and they might be swayed. So, make sure to put away all the toys and anything else that is highly indicative of the home’s current inhabitants. Pets, kids, what you ate for dinner last night, a mildew-covered bathroom and many other conditions can make your home smell. You are probably immune to your home’s smell, so you’ll need to have a friend or neighbour help you out with this one. If you have pets, get all rugs steam cleaned and be extra vigilant about vacuuming and washing surfaces. Also, make sure your house is pet hair free! If you’re a smoker and you normally smoke indoors, start limiting your smoking to outside the home and take extra steps to deodorise indoors. Finally, don’t forget to take out your rubbish. Make sure each room has a single, defined purpose. Also, make sure that every space within every room has a purpose. So that buyers will see how to maximise the home’s square footage. If you have a finished attic, make it an office. A finished basement can become an entertainment room, and a junk room can be transformed into a guest bedroom. Even if the buyer won’t want to use the room for the same purpose. The important thing is for them to see that every inch of the home is usable space. This includes alcoves, window seats, corners, breakfast nooks and so on. 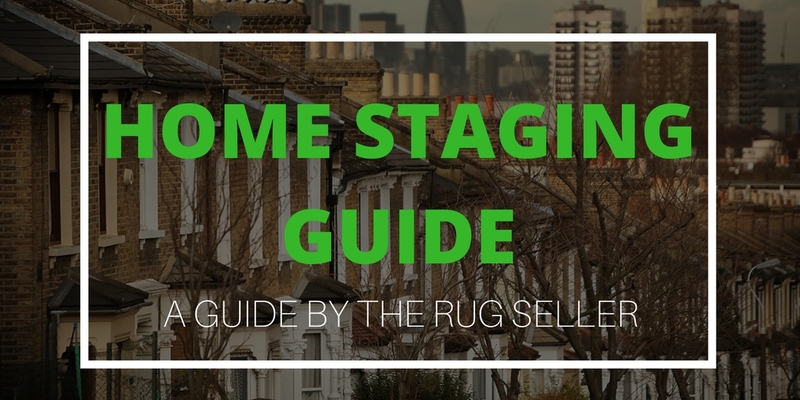 For more room-specific staging tips, take a look at our Home Staging Infographic here. Make sure furniture is the right size for the room, and don’t clutter a room with too much furniture. Furniture that’s too big will make a room look small, while too little or too small furniture can make a space feel cold. You don’t have to pay a lot of money to switch out your existing furniture. Also, you may even be able to rent it, but the furniture should look nice, new, expensive and inviting. You’ll also want to arrange the furniture in a way that makes each room feel spacious yet homey. 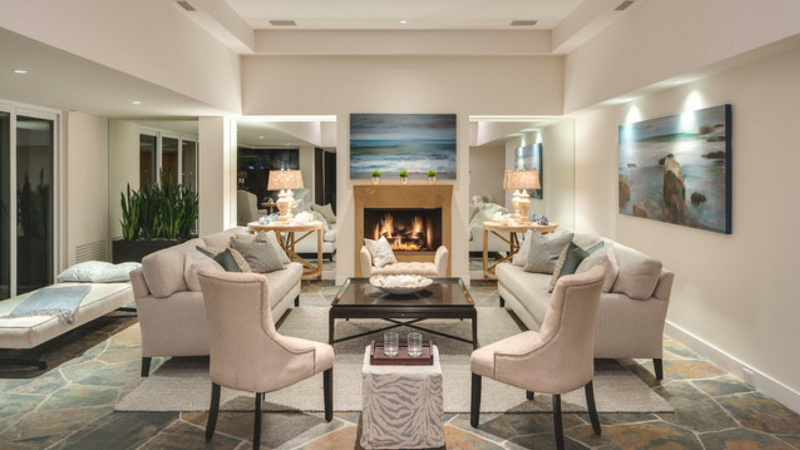 In the living room, for example, seating should be set up in a way that creates a gathering area around the fireplace. Pull your furniture off the walls and use pairs (of sofas, chairs, lamps) to create an inviting conversation area. Another thing that make staged homes look so warm and welcoming is great lighting. Don’t depend on just natural lighting or minimal fixtures per room, either. Make sure you include three types of lighting: ambient (general or overhead), task (pendant, under-cabinet or reading) and accent (table and wall). Your home’s exterior will be the first impression buyers get and may even determine their interest in viewing the inside. With the garden, make sure the grass, hedges, trees and other plants are well-maintained. Also, make sure they are neatly trimmed and eliminate any weeds. To brighten windows, wash them well, and consider adding flower boxes to brighten them up further. Make sure the pavement leading up to the house is clear and clean. 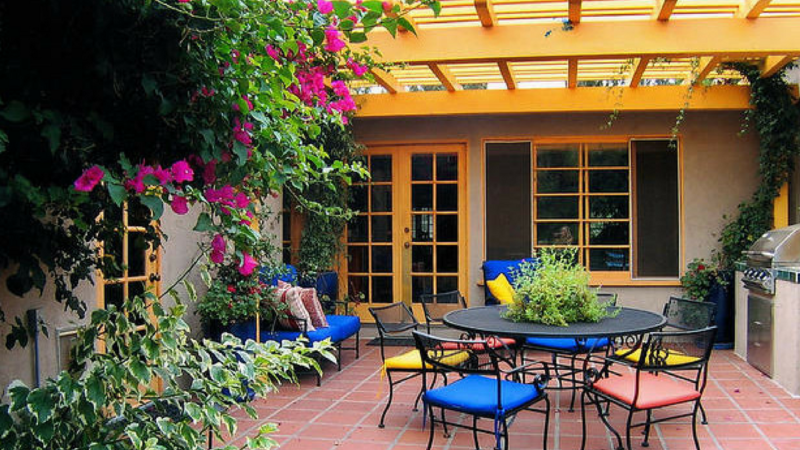 Creating some sort of outdoor living space in the garden, such as a deck or patio with outdoor furniture, is another way to use the exterior of your home to its greatest advantage. 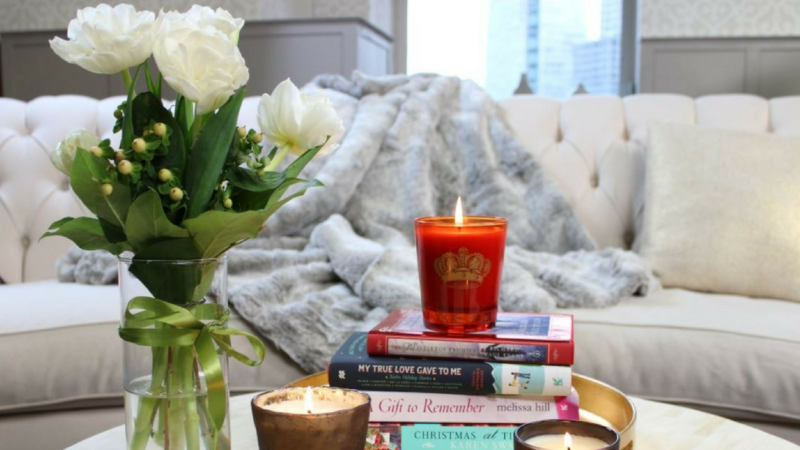 Just before any open house or showing, make sure that your staging efforts go the full mile with a few last-minute touches that will make the home seem warm and inviting. These include fresh flowers, as they are an excellent way to add colour and a fresh look to a room. Faux flowers are often used to prevent any wilting. So, the flowers are always seen to be fresh. A bowl of fresh fruit is an excellent way to accessorise a room and keep it bright. It’s also handy for if a potential buyer is hungry and wants a snack! Just remember to make sure the fruit doesn’t go off. Other ideas include letting fresh air into the house for at least ten minutes beforehand. So that it isn’t stuffy, adding a pleasant scent as discussed earlier, and putting new, plush, rug to give a house a more cosy and homely feel. No one wants to live with dirty, stained carpet, especially when someone else made it that way. Though pricey, hardwood floors add value and elegance to a home. They are also low-maintenance, provide great long-term value and are perfect for buyers with allergies. In other words, they appeal to almost everyone. If you don’t want to invest in refinishing floors, the strategic placement of rugs can go a long way. 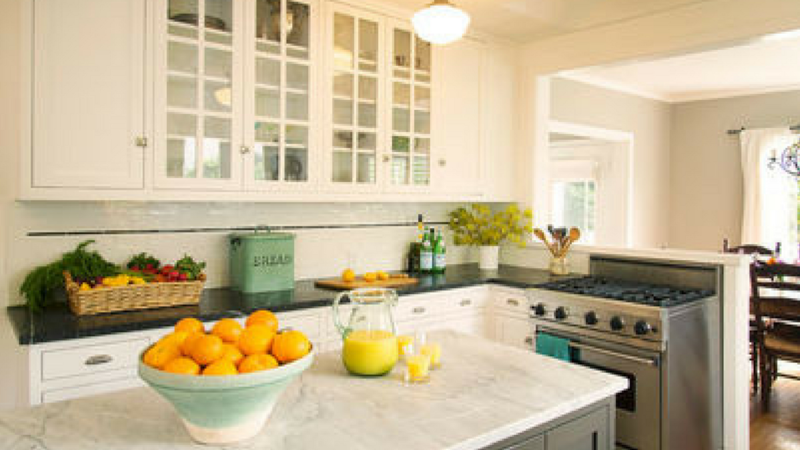 Keep these 11 quick staging tips taped on the inside of a kitchen cupboard. So you can implement them quickly, and make sure your family is well-trained so they can leap into action when required! Overall, your home staging efforts should be designed to appeal to the widest possible range of buyers. The more people willing to submit purchase offers for your home, the higher the selling price will be.